When I was in 4th or 5th grade, I joined the Boy Scouts. Except it wasn’t Boy Scouts for me, no, it was Webelos Scouts, since that was the appropriate group for my age at the time. I hadn’t been a Cub Scout, but did like the idea very much of camping, friendship, outdoor activities, and all of the other things that I envisioned Boy Scouts doing. We didn’t have a lot of money in our family at the time. I remember purchasing the Webelos Scout uniform (shirt, some patches maybe) was a significant purchase. But my parents were willing to support me in joining this fine organization if that was what I wanted to do. My expectations were high when I joined. The reality turned out to be a little bit different. As I recall, having not been a Cub Scout in the Den I joined, I felt like an outsider. I also had pretty terrible social skills at the time, and didn’t really adapt well. At first I gave it my best shot to fit in and participate, but eventually felt like something wasn’t quite working for me there. We never went camping. The most exciting part of being a Webelos Scout seemed to be the silver or gold candle we would burn at each meeting. That was our fire — maybe it symbolized a campfire, or burning stuff, or some kind of eternal flame of awesomeness. All I know is that we did some glue-gun projects, and burnt that candle at each meeting. During my short stint as a Webelos Scout we never even discussed going on a camping trip. That being my primary motivation for trying to break into this tight-knit group of young boys, I got discouraged. I gave up. Ever since I’ve considered myself to be a Webelos Scout Dropout. Someone unfit to participate in that system of rules, achievements, honor, glory, companionship, excellence. Recently I’ve had an opportunity to revisit this mental image in my head about who I am. I’ve thought of many fine men I know who are Eagle Scouts — they completed the Boy Scout journey, graduated basically with the highest honors. Now I know that not every Eagle Scout is a shining example of awesomeness, but that is basically what they aspire to be. And the people I know who are Eagle Scouts I’ve developed a tremendous amount of respect for. They seem to be able to get worthwhile things done in a way that is worth emulating. I will never be an actual Eagle Scout. You have to graduate from that program before you turn 18. I’m 35 years old. Not gonna happen without time travel, and I don’t know if I would have turned out that different had I stuck to it at the time. I got to thinking though, what am I holding on to by seeing myself as a broken Webelos Scout who could never have been an Eagle Scout. Not a productive way to see myself. What makes an Eagle Scout a good person is their drive to be a good person, and their capable practice of good qualities that gradually tell people — yes, this is a good person. This is someone who is interested in helping the world. It’s interesting to me that even though I haven’t thought about the Oath and the Law in many years, I realize that those are really important qualities to me. Those really do help define what it is to be an honorable, good, helpful person in this world. I may still be a Webelos Scout Dropout, but I realize today that I do strive to fulfill those ideals every day. I don’t have to accept for myself non-Eagle Scout qualities. The motto of the Boy Scouts is “Be Prepared”. That starts in our thinking and our practice. 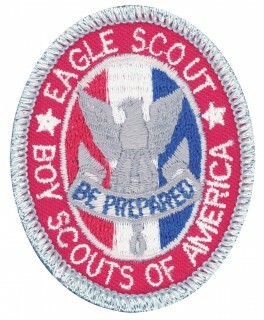 Every day we have an opportunity to act like an Eagle Scout. I’m really grateful to have been able to directly assist the following non-profit organizations in my lifetime by working on their websites, training individuals how to use the tools to say what they want to say, and generally try to help them do their jobs better. Most of these folks are active clients. I love the opportunity to serve in this way and plan to continue doing so as long as I’m able. I may be missing an organization or two but I am very grateful to have been able to serve in this way. This entry was posted on Wednesday, October 5th, 2011 at 2:38 pm	and is filed under Christian Science, General, Ideas, News, Projects. You can follow any responses to this entry through the RSS 2.0 feed. You can leave a response, or trackback from your own site.